I am not a big fan of breakfast – I really don’t want to see an egg that early in the morning. I can almost taste the wonderful combination of pumpkin, spices and seeds. I love the addition of flax in the recipe too. Great for breakfast or any time! So glad you shared the at the #FillTheCookieJar group! I love cookies for breakfast. It is even better when they are actually healthy cookies. These sound great. YUM! 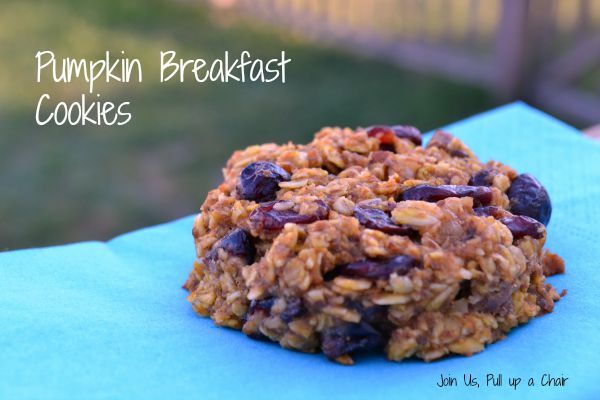 These are perfect for an adults breakfast or healthy snack on the run also! Love it. I love pumpkin everything! These cookies have all the good stuff in there! I love everything pumpkin! I would love for you to share at this weeks party Sunday through Thursday! Have a terrific weekend!